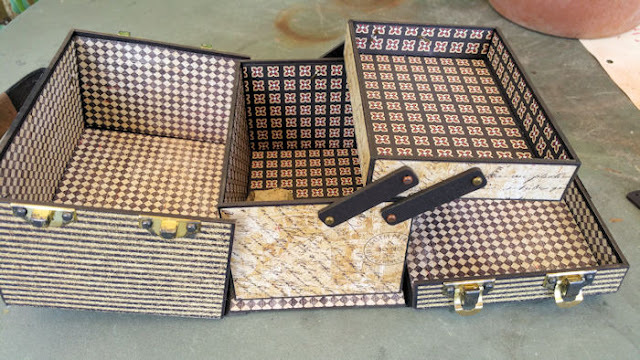 The Gentleman Crafter: The Traveling Valise Kits Done! The cool thing is this week I have made three new projects for upcoming classes and I'm so in love with them...I think you all will like them...I can't wait to share them with you. Please Note: The paper pictured below is not the one being sold with the kit. The Traveling Valise is a fun project to make to store anything. Originally designed to hold change at the top and watches at the bottom, the Valise would also be awesome for an assortment of art supplies when you hit the road. 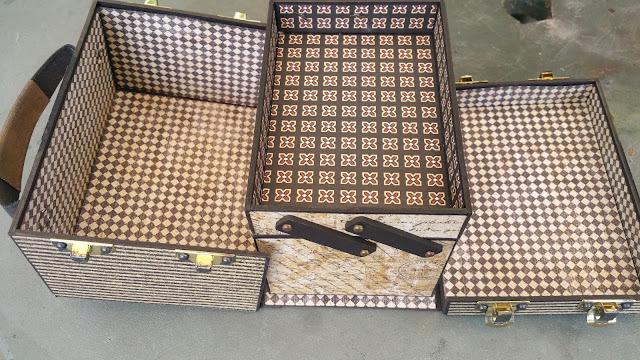 Has a cool scissor hinge that slides back to reveal the lower compartment. This would make an excellent gift for a man or woman! I am selling the kits with two options in paper...Either Graphic 45's Cityscapes or Graphic 45's Deluxe Collector's Edition of A Ladies Diary. 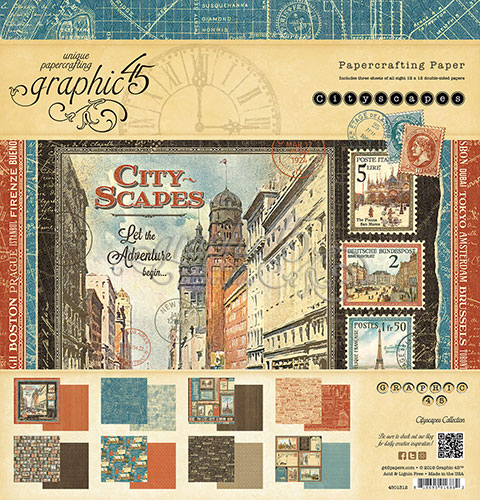 The Traveling Valise Kit with Graphic 45 Cityscapes Paper Pack Follow this LINK HERE! 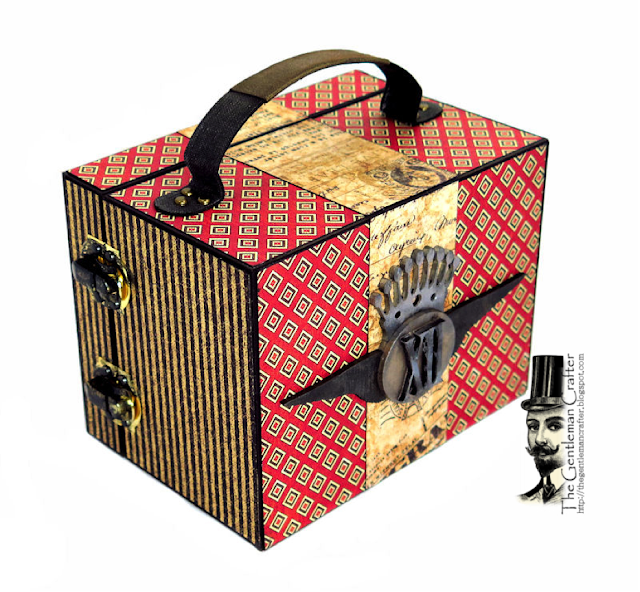 The Traveling Valise Kit with Graphic 45's A Ladies Diary Paper Pack follow this LINK HERE!